Jim began flying in 1972 at Fort Myers Airport, Florida. At age 17 he completed first solo flight with 6.9 hours in his logbook and would tell any student that by today’s standards this would be considered somewhat irresponsible on the part of his instructor. After college, a career in the US Army and at the suggestion of a friend, he took up flying again in Tampa, Florida and rejoined the Civil Air Patrol. He moved to Fredericksburg in 1996 where he accepted a position with Raytheon Company as an Engineer and later as a Program Manager. He also discovered Quantico had a flying club and at that time was an unusually busy place. There were about 20 aircraft of various types and an endless stream of students. As he gained in proficiency he also began to see problems with both instructors and training. Each flight lesson became a chance to reflect on how students learned, how to better teach and how a flight school might be better operated. In September of 2007 the base commander at Quantico closed the flight school, then operating “temporarily” out of Shannon. He purchased the school and took it over as a business. Rex Taylor, one of the other instructors, agreed to serve as the Chief instructor. They agreed on how to better teach and prepare students how to be pilots and began the process of transforming the school into a credible business. Unfortunately Rex suddenly passed away in March of 2009. Combined with the severe economic downturn that followed and the declining state of the airport, business was tough. However, with hard work and some help along the way the business is now able to provide the kind of place where pilots can receive a good value on their training dollar. Jim earned a designation as a Master CFI in 1999 and had renewed this designation eight times. He is a Gold Seal instructor, which is an FAA designation based on a high student pass rate. He has earned a spot on the AOPA Honor Role of flight instructors for the past two years. 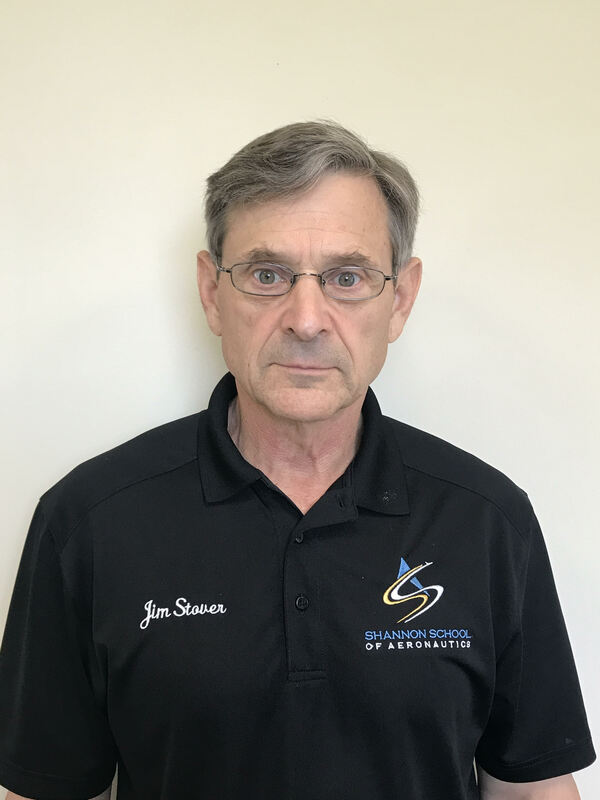 He currently serves as an FAA Safety Team Representative for the Richmond FSDO and is the Fredericksburg Chapter President of IMC Clubs. He provides flight instruction Monday through Saturday at Shannon Airport.